3 How Does A Ceramic Heater Work? 4 Are Ceramic Heaters Energy Efficient? 6 What Are the Advantages of a Ceramic Heater? Ceramic heaters are the inexpensive yet energy efficient space heaters that you should consider for your home. With hard-wearing and durable ceramic heating elements, these heaters produce comfortable and warming heat for your room as well as being safe to use. If you don’t yet know enough about ceramic heaters to make an informed decision about which one will be best for your needs, you should read this useful buying guide to find out plenty of helpful information. You should also check out these great ceramic heater reviews. If you consider all the possibilities and all the requirements that you have for your ceramic heater, you are sure to be able to find the best ceramic heater for your home. Thankfully, these heaters are available in a wide price range so it does not matter what your budget is as you’re sure to find something you can afford. The Lasko 6462 Full Circle Ceramic Heater is just what you need when you want to deliver plenty of heat to your entire room. Unlike heaters that simply stand near a wall and output heat straight ahead, this is a circular heater that is able to distribute heat in all directions. You can also program the way in which heat is distributed. Depending on the heater’s location in the room, you may choose to set the oscillation to sweep over 90, 170 or 360 degrees. This allows you to place the heater almost anywhere you like in the room to provide comfortable heat. A digital programmable thermostat comes with this heater so that you can set the working temperature of the heater. In just a few button presses, you can have all the heat that you need. If you don’t want to have to get up to alter the temperature of the heater, or if you want to switch it off, you can use the remote control that comes with it. This is a versatile and effective heater to use in your home and the ceramic heating element is sure to offer reliability and durability when you need it. 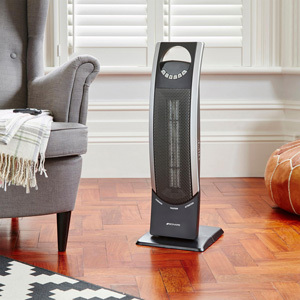 This Lasko 760000 Cyclonic ceramic heater will look great in your home as it is finished in modern and sophisticated black. With a plastic and metal casing, you can be sure of high quality and it will be cool to the touch for safety. You will be able to have ultimate control over Lasko cyclonic digital ceramic heater from wherever you are in the room because as well as having buttons integrated into the front of the heater, you can also use the multifunctional remote control. The thermostat can be set to any temperature you want and you can also choose from high and low-temperature controls. All these features can be controlled from the front panel on the heater or using the supplied remote control. 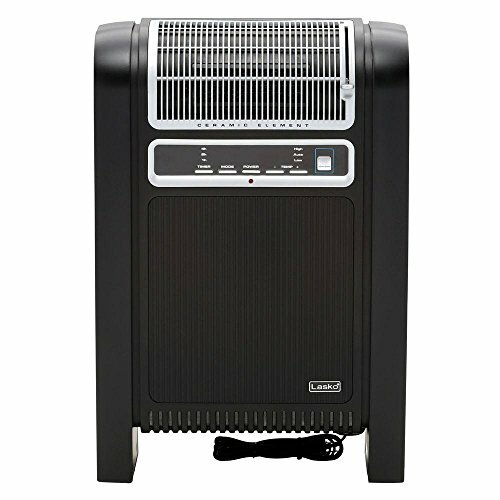 To offer you the purest air when this heater is in use, it has a fresh air ionizer feature. Thanks to this feature, you will not experience stuffy and uncomfortable air as you may expect with other models of ceramic heaters. This heater comes with overheat protection so that the parts within it will be protected and this also ensures your own safety when using the heater. The cyclonic heat penetration technology allows the heater to heat up quickly so that you can benefit from the heat in a shorter timeframe. The unique and modern look of the Lasko CS30368 Heater is sure to make a lasting statement in any room. In addition, the space saving design means that you won’t need to worry about finding anywhere for this heater to go. 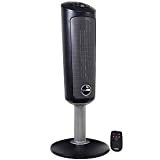 Lasko ceramic tower heater can be conveniently placed in any room without obstructing walkways or any objects around the room. This heater outputs plenty of heat effectively thanks to its tall design. It even features oscillation so that the heat can be dispersed well around the room. The Lasko CS30368 Heater has been designed to perform best in small to medium rooms and for rooms that are this size, you’ll notice that it outputs comfortable and effective heat. You can expect a 1500-watt output from this heater, which gives you plenty of heating power in the colder winter months. It is a great supplemental heater to use when you don’t want to waste money by heating your entire home using a central heating system. The ceramic heating element is durable and long lasting. It has been designed to ensure that there is a soft and steady heat flow throughout your room. The heater is also lightweight enough for you to take from room to room with ease. 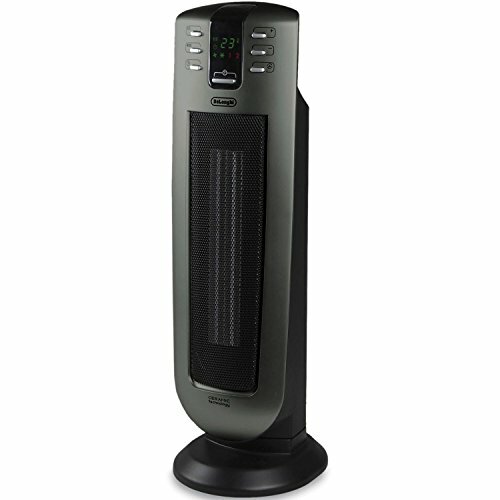 Have the ultimate control with your ceramic heater when you choose this Honeywell HCE323V Digital Ceramic Heater. With advanced digitalized features, you’ll be able to customize the heater so that it provides you with all the heat you need when you need it. With 2 constant heat settings, you’ll be able to choose from an effective high heat mode or an energy-saving low heat mode. It also offers you a timer function. The timer lets you set the heater to come on at 1,2, 4 and 8-hour increments as desired. An integrated dust filter allows you to keep the maintenance of this heater to an absolute minimum. It will protect the heater against dust and as it is a permanent filter, it doesn’t need to be replaced. To provide you with complete safety when you choose this heater, the Honeywell HCE323V Digital Ceramic Heater features a tip-over switch and overheat protection. 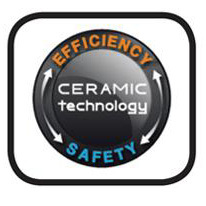 Overheat protection is especially important for ceramic heaters as it will ensure that the heater will not become damaged from becoming too hot. This taller heating has a space saving design to allow it to fit into smaller spaces. It also heats the room quickly and effectively as it has an oscillating feature. With 1500 watts of power, the DeLonghi TCH7090ERD is a great choice for heating a smaller room in your home or just for adding personal zoned heating when you need it. You will be able to save money on your heating bill if you use this as a supplemental heater, whilst it will also be a great way of adding heat to a room that is still too cold despite the current heating method. An LCD display ensures that you can see what temperature the unit is presently running at and you can change the settings with ease thanks to the control panel. A 24-hour timer gives you the flexibility to program this heater to suit your daily routine and the heater even comes with a remote control. You can choose from minimum, boost and eco heat modes when you are choosing the program for this heater. It allows you to make up to 40% in energy savings on your usual heating bills when in eco mode. 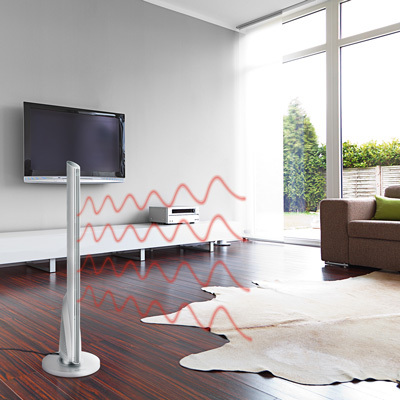 This tower heater distributes heat well around the room thanks to the oscillating mode. You can turn this feature on and off as you wish, but when it is on, you can be sure that the heat will be spread evenly around the room to keep it as warm as possible. 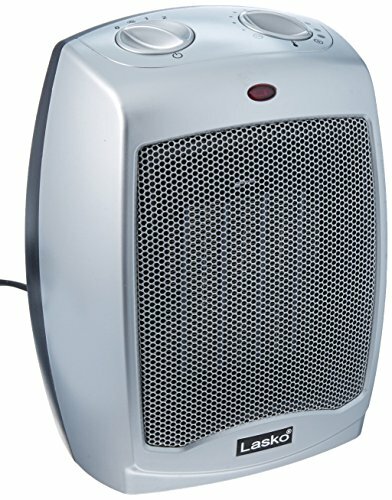 Lasko 754200 ceramic heater with adjustable thermostat is a sturdy heater that is easy to carry around your home when you need to. If you want a heater that you can keep close by for when the evenings start getting cold. This heater may be what you need. The Lasko 754200 Ceramic Heater operates at 1,500 watts when you have it set to use the high setting. You can also choose a 900-watt low setting that will allow you to save energy when the temperature has only dropped a little. During the warmer summer months, you can also use this appliance as a fan by turning the heat off altogether. 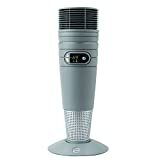 Lasko 754200 ceramic heater is a manually operated heater that operates quietly. With a self-regulating heating element, you can be sure to have comforting and warming heat at all times. When you need to move this heater, you can do so with ease thanks to the carry handle at the top. Simply pick up the heater and take it with you. This is not a large heater so it won’t take up much space in your room. All you need to do is ensure that any furniture is not obstructing it and you should keep it a few feet away from people who are in the same room. If you’re looking for a ceramic heater for your home, there are many different heaters that you’ll have to choose from. Whilst the list may be daunting, making your decision doesn’t need to be. In this buying guide, we’ll take a look at some of the various facts about ceramic heaters so that you can improve your knowledge and learn more about which kind of ceramic heater will be the best for your home. Just like with other kinds of heater that you may choose to buy for your home, ceramic heaters are available in different styles and types. Let’s take a look at the three main types of ceramic heater that you may choose from. – A ceramic tower heater is designed to be taller than most other ceramic heaters and they are also narrower. This allows you to use them in a more confined space. 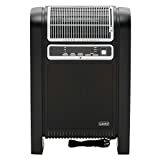 They are useful for if you want to keep the heater out of walkways or if you have a fairly compact room that you don’t want to fill with larger, more cumbersome heaters. Most tower heaters also have oscillation built in, which isn’t usually a feature for many other kinds of ceramic heaters, but this will mean that the heat can reach even more of the room more quickly. If there will be a few people in the room at the same time, then this may be a good choice for a heater to choose. – Compact ceramic heaters are the perfect choice when you have a smaller home and you want to move the heater from room to room frequently. These heaters are lightweight and small so that you can move them around easily. Whilst they are not designed to heat up an entire room, they are highly effective personal heaters, so if you are sitting at a desk, for example, you could place the heater below the desk so that the heat can be radiated directly to you. For a permanent heating solution in your home, you should consider a ceramic wall heater. These can be mounted on the wall or they could be built into the wall depending on the changes that you are prepared to make to the room and depending on the design of the heater. You can purchase ceramic wall heaters that are safe to use in the bathroom or other damp areas too. These are an effective and safe way of heating up an entire room and they are often more powerful than their portable counterparts. When you are looking for the best electric baseboard heater for your needs, you should look at the manufacturer as well as the product description. There are some well-known manufacturers who can be trusted when buying certain kinds of baseboard heaters. Lasko, Honeywell, and DeLonghi are all great manufacturers that will be able to supply you with high quality and highly beneficial ceramic heaters. Ceramic heaters don’t need to be an expensive addition to your home. With so many options when it comes to these kinds of heaters, you’ll be able to keep your costs down. Initial costs – Ceramic heaters aren’t very expensive to purchase. You can find them to suit most budgets. Installation – The costs of installation will vary depending on the kind of heater that you have chosen. If you want to have a portable ceramic heater, then there will be no installation costs. If however, you want to use a wall-mounted heater, you will need to install the heater to the wall and possibly have the heater wired into your existing electricity supply. Efficiency – There are a number of things that you can do to ensure that your ceramic heater will be as efficient as possible. First of all, you should try to use your ceramic heater to provide zoned or supplemental heating to your home. When you wake up in the morning, for example, you should turn on a bathroom ceramic heater so that you don’t need to use your entire heating system. You could also use the thermostat to ensure that the temperature of the room is comfortable and that you don’t waste energy. Maintenance – Ceramic heaters don’t require any maintenance, as the ceramic element is so durable. All you will need to do is vacuum the vents every now and then so that dust doesn’t accumulate. Although dust won’t necessarily cause any dangers whilst your heater is on, the convection current can send the dust around the room, causing the atmosphere to be somewhat polluted. One of the great things about buying a new ceramic heater for your home is that you will be able to choose from both portable and fixed models. Whether you want to add a permanent solution for warmth in a room whenever you need it, or if you want to save money on buying heaters and simply buy one portable heater to take from room to room, you’ll have plenty of great ceramic heaters to choose from. A portable ceramic heater is usually necessary if you want to add supplemental heating at some but not all times. If you have a central heating system that doesn’t need to be on because you are relaxing in front of the TV in just one room, you could use a portable ceramic heater to keep that room warm. 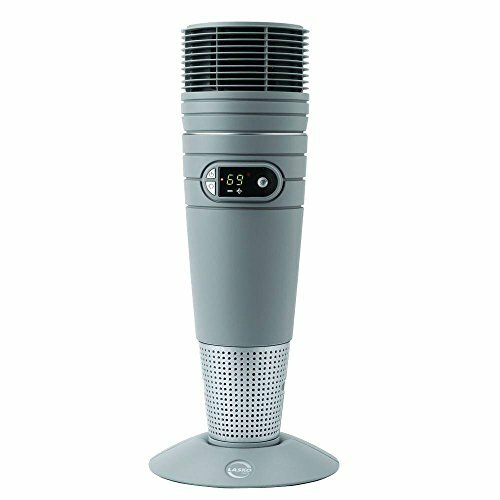 When it is time to go to bed, you would simply pick up the portable ceramic heater and take it with you to your bedroom so that you can have to heat in there whilst you sleep. On the other hand, if you want a high quality and permanent heater installed into your room, you could choose a ceramic wall heater for example. There are different kinds of fixed ceramic heaters for different purposes so whether you want to warm up your bathroom or if you want to keep another room in your home warm, you can add fixed supplemental heat in the form of a fixed ceramic heater. Ceramic heaters are available in all kinds of sizes. You should measure the room that you want to use the heater in. If you will use the heater in more than one room, then you should measure the size of the largest room. You should then check the heating capacity in square feet of the heater that you’re considering to see if it will be adequate for your room. You should remember that you are able to purchase both personal ceramic heaters and ceramic heaters to heat a room. It is important to know which kind you’ll need. A personal ceramic heater will be insufficient for keeping a room warm. The great thing about ceramic heaters is that they have a hard wearing ceramic element at the center. This provides safe operation as well as being a great way for the heater to disperse heat throughout the room. If you have a larger room, you should consider a taller ceramic heater that features oscillation. This will ensure that heat is given out in all directions and will be a better way of heating up the whole of your room rather than a simple portable heater that doesn’t oscillate. How Does A Ceramic Heater Work? Ceramic heaters are a kind of space heater, which is able to heat up the air more easily than most other forms of space heaters. There are no bare coils of wires, which could potentially start a fire, and they don’t make the casing so hot that nearby users are at risk of being burned. The heating element that is found within a ceramic heater is what gives these kinds of heaters their name. Coils of metal at the center of the heater are covered with ceramic plates and the coils heat up, transferring the heat to the ceramic. Once the ceramic element becomes hot, it releases heat into the air and it is carried around the room with convection currents. Some of these heaters have an integrated fan to blow the hot air around the room more quickly. In comparison to most other kinds of space heaters, ceramic heaters are able to heat up fast and cool down quickly too. This makes these kinds of heaters safe to use in your home. Are Ceramic Heaters Energy Efficient? Ceramic heaters may help your home to be more energy efficient if you use them effectively. Whether you get a portable heater or a fixed one, you can be sure to save money on your energy bills if you only use the ceramic heater instead of using your entire central heating system. When you wake up in the morning, you could turn on your remote ceramic heater whilst you get dressed. You could have a wall mounted ceramic heater in the bathroom, which you turn on so that you can put on makeup, or have a shave. You may then take your portable ceramic heater downstairs so that you can warm up your kitchen whilst you eat your breakfast. All these ways of creating zones of heating will ensure that you can bring down your heating bills by only heating the areas of your home that are in use. You should still ensure that you choose the right size of a ceramic heater for your needs so that you don’t waste energy. Remember too that your home may prevent your heater from being as energy efficient as it could be if you have poor insulation and draughts. You should also avoid blocking the path of the heat so that it can freely flow around your room. Although ceramic space heaters are generally safe to use in your home, you should ensure that you follow sensible safety procedures when you are using one in your home. These safety tips will give you some things to think about when you are using your heater for the first time. Portable or Fixed? 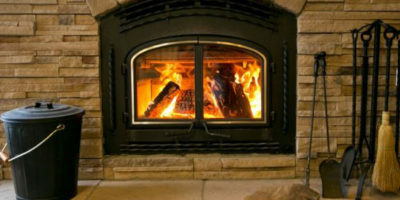 – When you are purchasing the ceramic heater for your home, you should think about whether or not it needs to be fixed. If you want a heater that will not leave the room, you should consider purchasing a fixed one. These are going to be the safer option in your home as they will not be able to be tipped over easily. Safety Switches – If you choose a ceramic heater that comes with safety features such as anti-tip over switches and overheats protection, you’ll be able to have more peace of mind. Tipping over a heater of any kind can cause a danger such as burns whilst overheat protection will stop the unit from getting too hot to protect the parts inside it. Personal Or Whole Room – When you purchase your ceramic heater, you’ll be able to choose heaters that are capable of heating the entire room or one that is intended to be used by one person and to be kept in close proximity. Although it is cheaper to run the personal heater, it will need to be very nearby to make you feel warmed. It would be very dangerous however if you were to sit close to a ceramic room heater so you should be careful about what kind of heater you are purchasing and where you position it. Safety Certification – You should always check whenever you purchase a heater that is has been certified for safety and that you are purchasing from a trustworthy source. It is never a good idea to purchase a second-hand heater, as you will not know what kind of condition it is in. What Are the Advantages of a Ceramic Heater? With a ceramic space heater, you can be sure that you can get great spot heating in your home when you want to save money on your home heating bills. There are some great advantages to choosing one of these kinds of heaters. Design – When you buy a ceramic heater, you’ll have the advantage of having a heater that has a durable and effective heating element. This kind of heating element is made up of a ceramic shell that coats the electric heating elements and this produces a comfortable and steady heat for your home. Unlike other electric space heaters that use metal diffusers and reflectors that reach dangerously high temperatures, ceramic heaters are designed to never reach a combustible temperature. Safety – Space heaters that have a metal heating element often fail and can lead to some serious house fires if they are accidentally left on and unattended. Ceramic heaters do not have the same kinds of dangers and they often come with a thermostat to regulate temperature too. Size – Because the heating element isn’t as hot as in other kinds of heating system, ceramic heaters can be made to be smaller. This is because the casing doesn’t have to give so much clearance to the element inside. Infrared heaters are greatly different to other space heaters as they don’t usually feature a blower and they don’t use convection either. Unlike any other heater, these kinds of heaters radiate heat outwards into the room so that whoever is in the room can benefit from gently warming infrared rays rather than being blasted by streams of hot air or wasting money with convection style heaters. Although infrared heaters are suitable for smaller spaces where the users are staying in front of the heater, ceramic heaters are more suited to larger rooms that have a lot of use and traffic. Ceramic heaters can often output heat in all directions so that more of the room can be warmed up. Infrared heaters are very quick to warm up people or objects that may be directly in front of them. Ceramic heaters are also fairly quick to heat up, but some ceramic heaters can retain some warmth even after the heater has been turned off, which infrared heaters can’t do. If fast and targeted heating isn’t for you, then it’s likely that an infrared heater won’t be suitable. Ceramic heaters are much better if you want to warm up your entire room and maintain the temperature using a thermostat. You will not be able to use a thermostat with an infrared heater, as it doesn’t affect the overall temperature of the room. Ceramic heaters have very durable heating elements that are unlikely to wear out quickly. Infrared heaters emit light however and over time, the infrared waves can lose some power. Another problem that you may experience with infrared heaters is that they are quite bright whilst they are on. Whilst this may not bother you in the daytime or in the evening, when you are trying you sleep, you would get a better night’s sleep using a ceramic heater, as these do not emit light whilst they are on. Both types will usually be quiet enough for you to use whilst you sleep. Ceramic heaters can often cause some confusion, as there are a couple of different types. Radiant ceramic heaters only heat up the items that are immediately in the path of the heat. These heaters can take a little while to heat up but are effective if you only have a small room to heat. On the other hand, you could choose a convective ceramic heater that relies on convection currents and this is used to warm up the air in the room. Convection based ceramic heaters can have an integrated fan that assists the air circulating around the room. This is not a feature of oil filled heaters. Oil filled heaters usually use convection heat only. Oil filled heaters can take a while to warm up and can take even longer to cool down completely. Whilst they are fairly safe, this does mean that you may have to supervise small children around them more as oil filled heaters are usually very hot to the touch whilst they are on. Ceramic heaters are faster to warm up and to cool down and they are usually cool to the touch. Oil filled heaters are usually far heavier than ceramic heaters. This is because they are filled with oil and they use an electric heating element to heat the oil to provide heat for the room. As they are heavier than ceramic heaters are, they can be more dangerous if they are portable and are knocked over. They will also need to be mounted more securely to the wall. As oil filled heaters take longer to heat up, they use a little less energy than ceramic heaters and as they stay warmer after they have been turned off, they can also be more cost-effective than ceramic heaters. The energy savings that you can expect greatly depend on how you want to use the heater. These ceramic heater reviews give you some great ideas about what space heaters you can find on the market today, but don’t forget that there are plenty of others that you could choose from too. When you’re looking for the right ceramic heater for your home, it is important that you assess each model carefully to make sure that it has all the features and benefits that you need in your home. If you have limited space, for example, you may want to consider a taller and thinner ceramic heater, but this type of heater may not be suitable if the heater could be knocked over easily by small children or even pets, in which case, you would probably be better choosing a ceramic heater that has a bulkier and more sturdy design. Our buying guide is sure to have given you plenty more things to consider too when you are looking for the best ceramic heater.